A $40,000 grant from the WKU Sisterhood will provide life-changing international experiences for 80 students in WKU’s teacher education program. 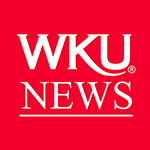 “We have kids going all across the world as a result of the Sisterhood grant,” said Dr. Fred Carter, director of Teacher Services and School Relations in WKU’s College of Education and Behavioral Sciences. 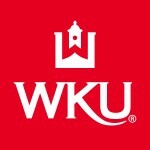 The WKU Sisterhood is a group of women who make a gift of $1,000 each and collaborate to advance university priorities through philanthropic engagement and a collective voice. Dr. Carter’s “Student Teaching With An International Flavor” project was selected for funding recently after five finalists made presentations to the WKU Sisterhood. 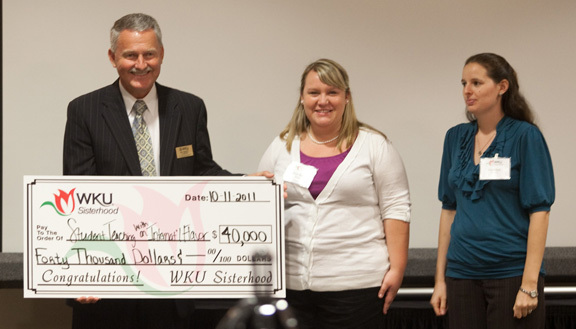 The WKU Sisterhood funding will provide $500 scholarships to 80 teacher education students. A total of 43 students are scheduled to student teach internationally during the spring 2012 semester from April 10 through May 10: two at Kyung Hee Elementary School in South Korea; three at Colegio Menor School in Quito, Ecuador; 28 at SEK Catalunya Schools in Barcelona, Spain; seven at The Long Eaton School in Derbyshire, United Kingdom; two at Linkoping Schools in Sweden; and one at Josef Annegarn Schule in OstBevern, Germany. The scholarships provided by the WKU Sisterhood award will help ease some of the financial burden of a four-week abroad for the students, Dr. Carter said. “When I was able to go to these student teachers and say here’s $500 toward your $3,000 cost, suddenly it seemed reachable to them,” he said. Interest in WKU’s International Student Teaching program continues to grow. Four years ago, two students taught in Mexico. During the upcoming year, more than 80 student teachers are expected to travel abroad. As part of their application, students must complete a Study Abroad and Global Learning application, have a 3.0 grade-point average, two letters of reference, a letter of interest and meet with a selection committee. The international teaching experiences not only benefit the students in the classroom but in gaining employment, Dr. Carter said. At the beginning of last year, all of the 20 WKU student teachers who had international experiences were hired for full-time teaching positions, he said. Thanks to the funding from the WKU Sisterhood, 43 students next spring and 37 next fall will have an opportunity for international experiences. “Many of these students would not have been financially able or prepared to make this trip without the generosity of the WKU Sisterhood,” Dr. Carter said. Contact: Fred Carter, (270) 745-4897.